The benefits of aloe vera are known to all and the wonders that it can do to your skin are also known. 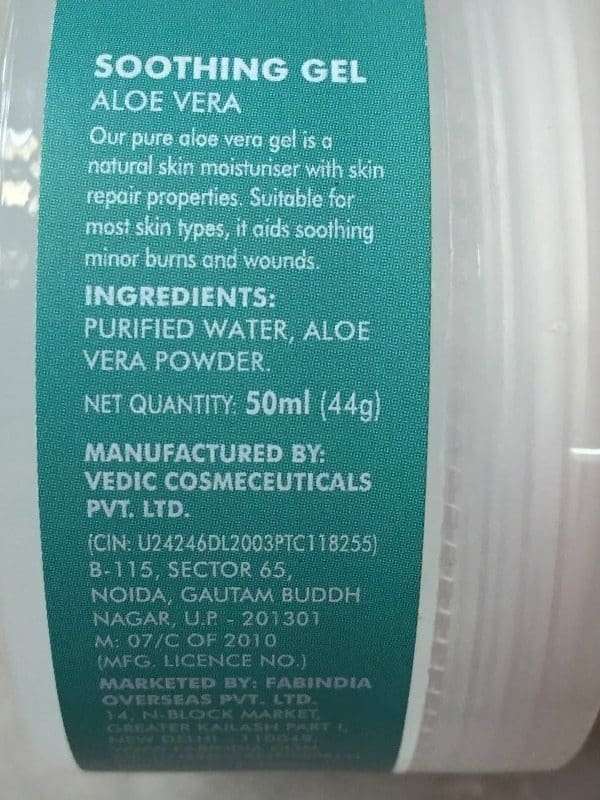 In today’s time where we all are busy, extracting aloe Vera gel directly from the plant itself can be quiet a pain, so to bring an end to the time consuming process of extracting gel I thought of looking for a readily available and yet natural aloe Vera gel, which made me buy this soothing aloe Vera gel from Fabindia.So in today’s post, I will be reviewing Fabindia soothing Aloe Vera get read to know more. 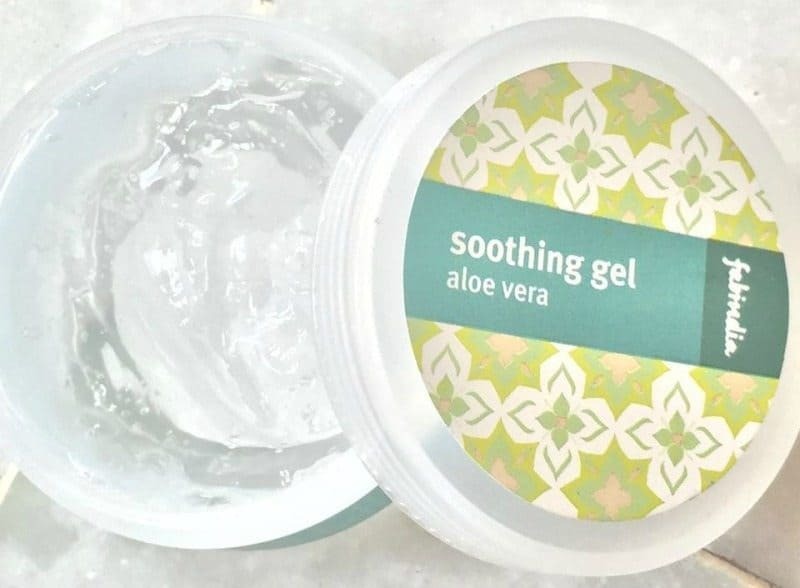 This is an aloe Vera gel which is natural and chemical free. The consistency of the product is good and it does provide adequate moisture to your skin.This product is for everyone. Yes. It is made from Aloe Vera powder and purified water. The brand claims the product to a natural and organic product, which is free from any chemicals. 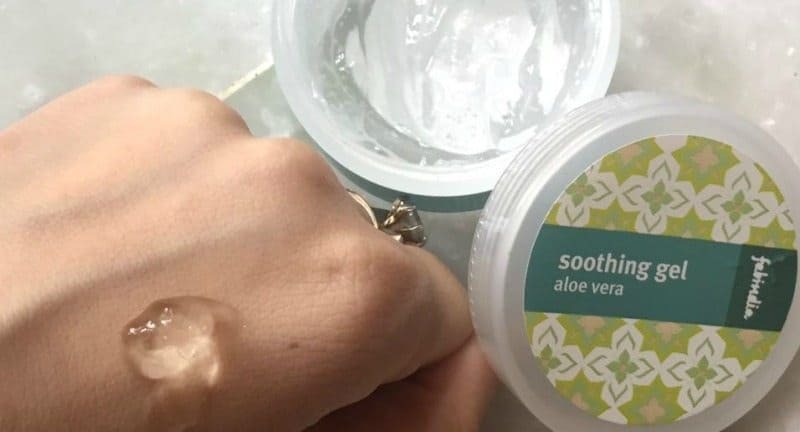 The brand claims the product to be effective soothing your skin and providing it adequate moisture. It also cures minor skin redness. The gel helps is keeping your skin hydrated and fresh looking and is suitable for most skin types. The product comes in a small circular container and doesn’t have any pump, applicator or tube like container. The packaging is simple and compact.The application is simple you have to apply the product over your face and neck with the help of your fingers.The only thing which I didn’t like about the packaging is that you have to dip your finger into the container to take out the product which might contaminate the product.But otherwise, it’s good. I have been using this product daily for over 3 weeks now and I am happy with this product. The product does live up to its brand claim and it is natural which makes it even more amazing. Might not provide adequate moisture to the very dry skin. 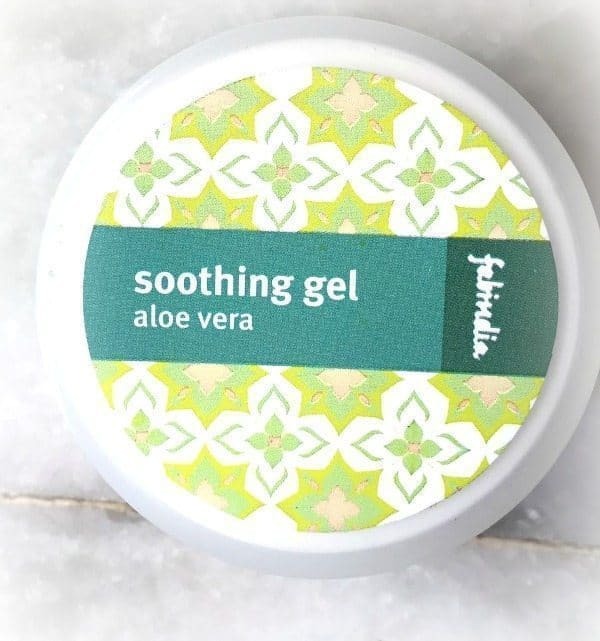 Overall Would I recommend/repurchase Fabindia soothing Aloe Vera gel? Yes. Definitely! 🙂 It’s a good product which is not heavy in texture. Eyova Hair Nutrient with Egg Oil – Is it Your Dream Hair Product?